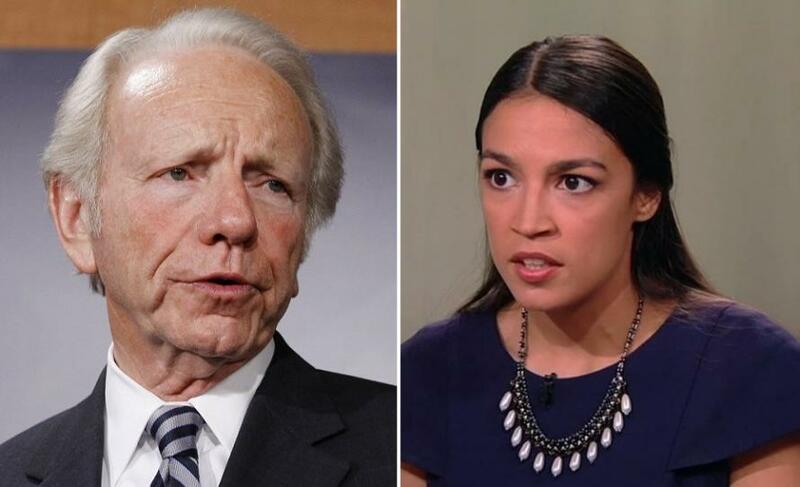 Former Democratic Senator and Vice Presidential candidate Joe Lieberman has penned a scathing indictment of Democratic Socialist Alexandria Ocasio-Cortez, who was immediately branded the "new face" of the Democratic party after her upset primary victory over the fourth most powerful Democrat in Congress, Joe Crowley. In short, Lieberman says Ocasio-Cortez is ill-informed, holds radical views, and will only serve to further divide Congress. Lieberman takes Ocasio-Cortez to town over her open-border dreams of abolishing ICE, saying "This makes no sense unless you no longer want any rules on immigration or customs to be enforced. I have not heard anyone say that. Nonetheless, at least three credible candidates for the Democratic presidential nomination rushed to endorse Ms. Ocasio-Cortez’s position." Ocasio-Cortez also has no clue what she's talking about when it comes to Israel - drawing rebuke from the liberal Israeli daily Haaretz, which reported that the young Democratic Socialist "is seen as the embodiment of the Democrats shifting away from Israel." Perhaps this sent Lieberman over the edge. Meanwhile, the young socialist has called for progressive protesters to "Occupy all of it" - encouraging the "resistance" to expand their nationwide physical blockade of Immigrations and Customs Enforcement (ICE) buildings to border crossings and airports, as part of their ongoing protests over the Trump administration's "Zero Tolerance" policy of enforcing existing immigration laws. Lieberman is hardly the first Democrat to come out against the overnight "rebranding" of Ocasio-Cortez as the party's "rising star." Lieberman's solution? Vote for Crowley this November, as his name will be on the ballot as the endorsed candidate of the Working Families Party.